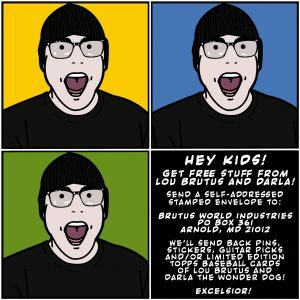 There is always free schwaggage you can get from Lou and Darla the Wonder Dog! It includes Cthloubru stickers, pins, guitar picks and autographed Scott Pilgrim-style postcards. Plus, there are a limited amount of the latest LB and Darla baseball cards from Topps. 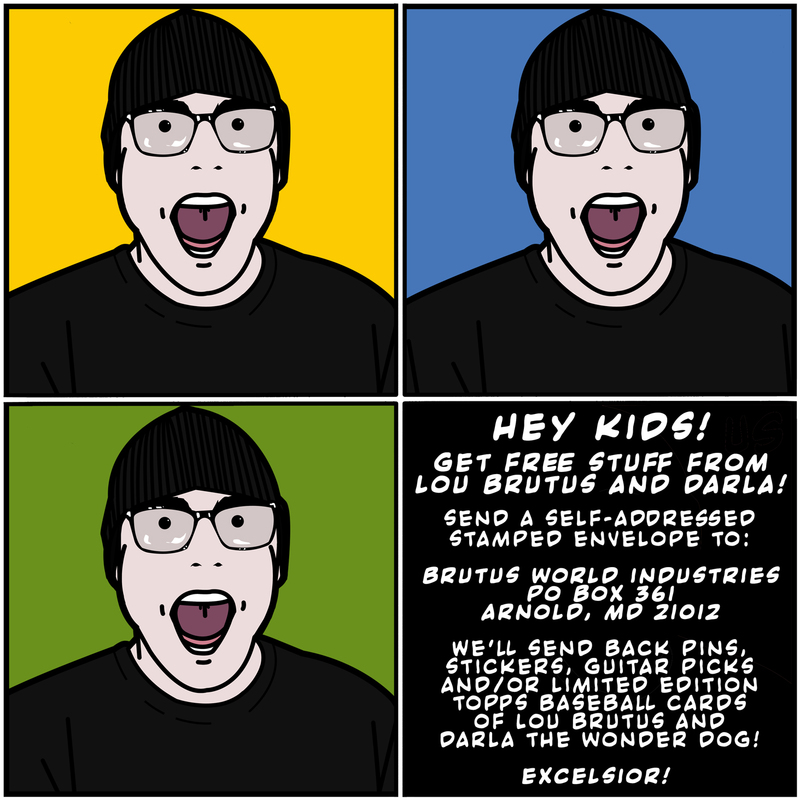 Send a self-addressed stamped envelope to Brutus World Industries PO Box 361 Arnold MD 21012. The autographed postcards are 5×7 so send a big enough envelope if you want one of those. The more postage you put on your envelope, the more we can send back.